Bernat is committed to providing knitters and crocheters with high quality yarns and creative patterns. 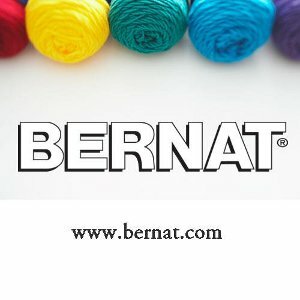 The Bernat® website is a great place to learn all about our yarns and to find your next knitting project or crochet project. With a free membership, you can access hundreds of free knitting patterns and free crochet patterns. Bernat yarns are great for stylish knitting projects and intricate crocheting projects. Bernat patterns are written especially for Bernat yarns to ensure that the crochet pattern or knitting pattern you start with Bernat® yarn will turn out as expected. Free knitting patterns and free crochet patterns are available to members and membership is free. Search for a free crochet pattern or a free knitting pattern using our New Pattern Search Tool or preview our Pattern Books. Recently, I came across this beautiful sunflower afghan made in 1969. I have been looking for this pattern ever since. Can you help? Someone commented that it originated with Bernat. Thank you Helene Thiessen.